Located in Mordialloc, Melbourne, Blue Dog Glass is a unique business dedicated to offering quality products, tuition and commissions in the field of kiln formed glass. We combine artistic flair, refined technique and practicality to produce items and services of true individuality. 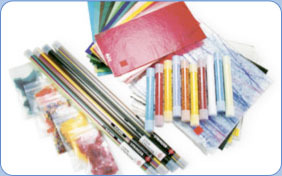 We stock an extensive selection of materials and tools for any glass enthusiast as well as providing specialist technical support. As importers and distributors of Bullseye Glass our range of glass supplies and equipment are of the highest quality. We also provide a personalised commission service including functional ware, business or sporting awards and architectural lighting design. Our team can collaborate with your business to produce design prototypes and items best suited to your needs. Classes offered at Blue Dog Glass are conducted by professional artists and offer students the opportunity to learn in a friendly and creatively conducive environment. Our classes cater for absolute beginners and craft makers through to professional artists looking to expand their practice with specialist workshops in glass and other media. 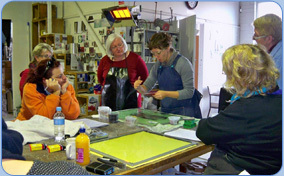 Blue Dog Glass offers classes to suit absolute beginners, occasional craftmakers and professional artists. Our teachers are experienced practitioners and our small class sizes allow a personalised learning experience. We also have specialist glass masterclasses and workshops taught by renowned Australian and international artists. With so many classes on offer in glass and other media you’re sure to find one to inspire your creativity!